Advertise your institution or company with us. Reach people when they are actively looking for information about your institution/colleges or company and courses online, and send targeted visitors directly to what you are offering. 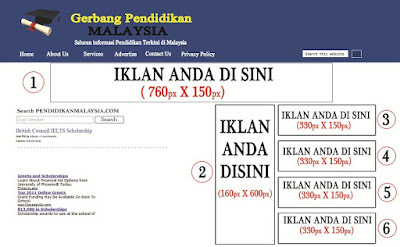 Currently PendidikanMalaysia.com in receiving about 500,000 visitors per month or around 15,000 visitors per day and this figure is expected to hit our target this year which is 1,000,000 visitors per month. Let us know your what you are looking for. How do you benefit from placing an advert with us? 1. Create your banner and send the image or link to us. 2. 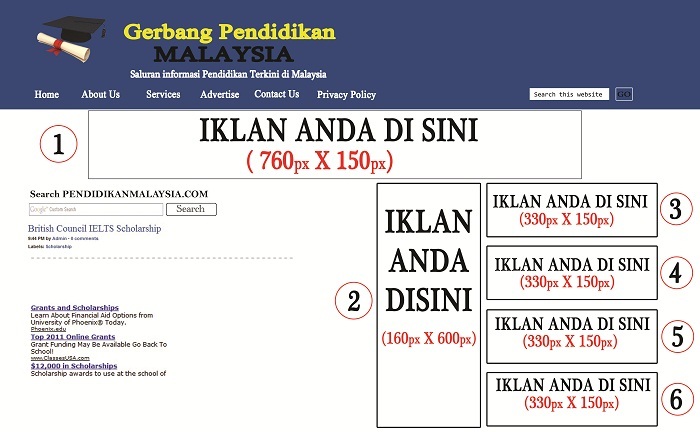 Please indicate the website address the banner to be linked to. We are happy to publish your organisation news for FREE OF CHARGE (FOC). Send us your article today and we will publish it immediately.